Editor’s Note: Catholics for Choice is a sponsor for our Peace, Joy, and Choice holiday party. Thank you to the entire Catholics for Choice team for your work and your support. All answers below are attributed to Glenn Northern, Director of the Domestic Program at Catholics for Choice. What is the mission of Catholics for Choice? As the new Director of the Domestic Program at Catholics for Choice working here has been a dream come true. I have spent my adult professional life working in the field of reproductive health rights and justice, and I am incredibly proud to work towards helping make sure that every woman is able to exercise her conscience. We do such important work at the nexus of religion and reproductive health because Catholics for Choice represents the vast majority of Catholics around the world who disagree with our church’s hierarchy on abortion, contraception, religious liberty and the role of religion in the public sphere. We lift up the lived expression of Catholicism as everyday Catholics around the world see it. Catholics for Choice trusts women and men to make their own moral decisions on important moral matters including reproductive health. We do so because the Catholic social justice tradition teaches us that each individual should have the right and the means to follow their conscience in moral decision making, and never denied the care they need based on how much money is in their pocket or because another’s beliefs impede it. 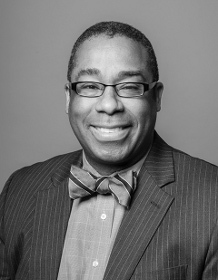 Why do you support the DC Abortion Fund? Personally, I have given money to DCAF because it is important to me to make sure that every woman has the ability to make the choices that are best for her. It is wrong that someone should not be able to afford the healthcare that they need. It is wrong that someone should be denied an abortion because they cannot afford it. I, like my colleagues at Catholics for Choice, want to do my part to ensure that all women can exercise their right to choose. From an organizational standpoint, Catholics for Choice is a proud sponsor of DCAF and has been from the beginning because DCAF instills the social justice values we at Catholics for Choice hold dear. Our staff has always been inspired by DCAF because they provide support, hope and resources for those who need an abortion. Because of DCAF, reproductive healthcare in the District is more equitable, and this is a goal that I think we can all get behind. What did CFC do in 2017 of which you are most proud? It’s so funny that you ask that! Just yesterday, I was talking with a partner about how even though I have been in reproductive rights for so long, one of our recent campaigns still managed to totally floor me. A lot of my drive for reproductive rights comes from working towards justice and dignity for all, and I think that our recent Abortion in Good Faith campaign was a particularly moving expression of both of these values that I hold close to my heart. 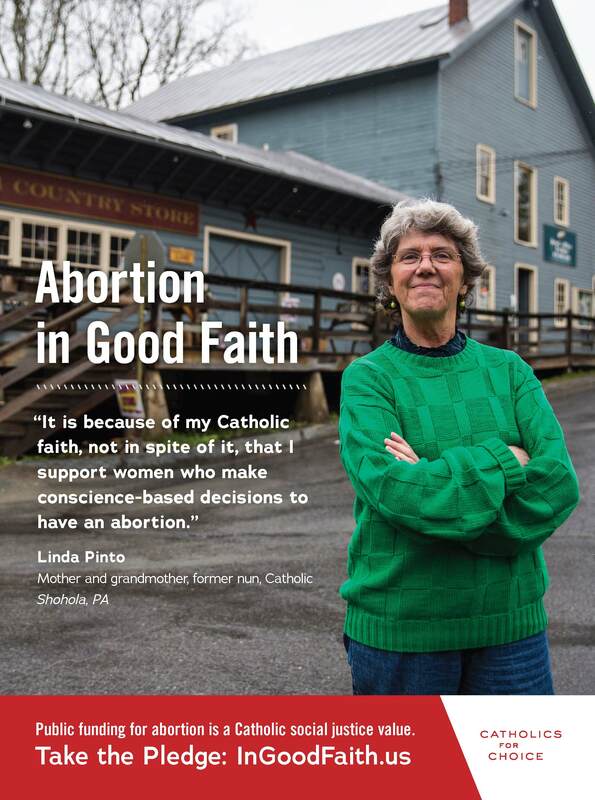 Abortion in Good Faith showcases the voices of Catholics from various walks of life who believe that all women deserve the right to equitable reproductive healthcare, including abortion access—no matter how much money they have, where they live or what they believe. This campaign loudly and unapologetically shows how public funding for abortion is a Catholic social justice value and why Catholics across the United States stand with women and their right to decide. We were able to feature everyday Catholics: a feisty but gentle grandmother, an earnest and thoughtful graduate student, a determined mother and former legislator and others, all of whom articulate why they, as Catholics, support public funding for abortion access. These were all remarkable individuals, and I am proud to play a part in lifting their voices. Here are some examples to show you just why this campaign moved me so much. More tangibly, the campaign played a role in the Illinois Governor signing HB 40 into law, lifting the state funding restrictions for abortion under Medicaid and the state employee’s health insurance program. It’s not every day that you get to see the direct, meaningful impact of your work, so this was a special moment for us. Bringing it back to DCAF, Catholic social justice means we take care of our neighbors, especially those with fewer resources than we might have. This is the goal of ours through Abortion in Good Faith, and DCAF works every day to make that a reality for each and every woman who seeks their help. I am really proud to work for an organization that supports DCAF. What are your reproductive rights resolutions for 2018? My resolution is to continue fighting back—to do what seems difficult and prevail. This past year has been particularly difficult, but it’s said that it is always darkest in the middle of a tunnel, so I know that the light is on its way. Personally, I am committing to use my heart, mind, skills and energy to make real a world where all people are able to exercise their conscience without coercion, stigma or financial barriers hindering their choice of what is best for them. As a team, Catholics for Choice sees 2018 as an opportunity to win big for women’s autonomy. 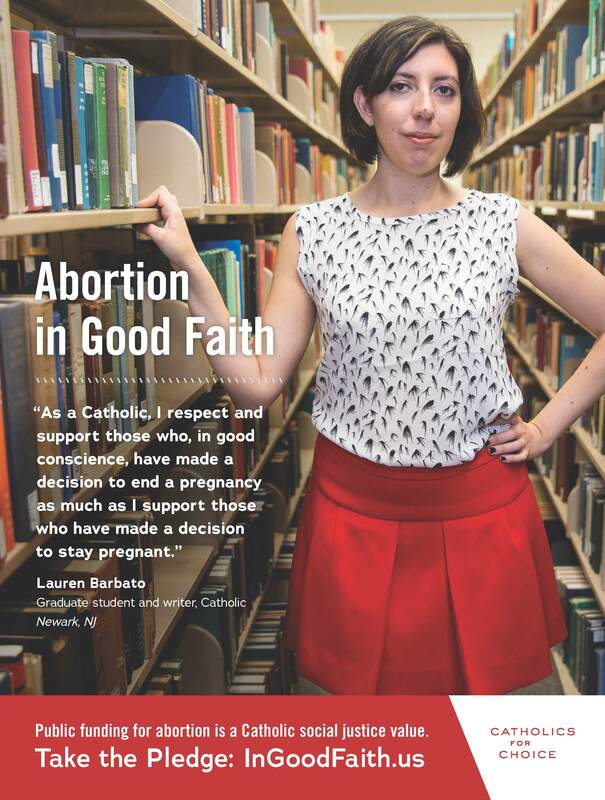 We will continue to offer thought leadership in Conscience magazine, expand our outreach both at home and abroad and serve as a voice for the majority of Catholics who are, in fact, prochoice. We’re ready to keep fighting.